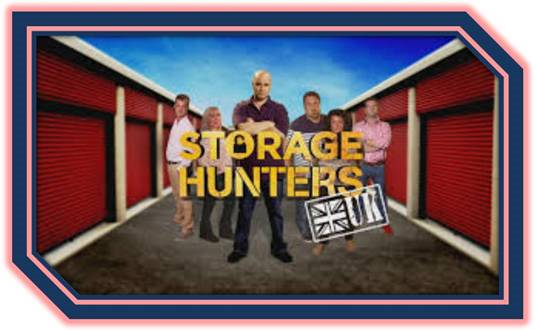 Earlier this year SS(W) Ltd received an email from a television production company in London asking whether they could feature Abermarlais Park in the new series of Storage Hunters UK. The initial thought it might be a hoax but when we rang them we realised they had chosen SSW for an episode in the fourth series of the show. They sent a researcher down to Abermarlais to ensure the site was suitable for filming and immediately gave the go-ahead. American presenter and auctioneer Sean Kelly, along with the big man with the bolt cutters Mini Mile and the crew arrived at the beginning of August for two days of filming. The programme features bargain hunters bidding for the contents of storage units and only enjoying a fleeting glimpse of the contents before making a decision. You won’t have to wait long to find out what happened because Abermarlais Park will be featured in episode five which is due to be aired on Tuesday, 08 December at 8.00 pm on Dave.